SFL is now on YouTube! 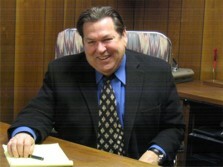 See us in action by visiting our YouTube Web Page ! The Stars Football League is excited to announce that the Ft. Lauderdale Barracuda Logo has been approved. Purchase your own Team, our even our entire League! Dateline: Fort Lauderhill, FL- July 3, 2013- The Pompano Beach Swampdogs defeated the Fort Lauderdale Barracudas 12-8 to advance the Presidents Cup game on July 6th, 2013 at 7:15 PM, where they will take on the Miami Ironmen…. Stars Football on ESPN ! Click on Image to hear commercial ! 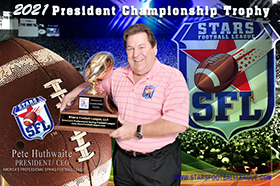 2012 President Championship Trophy ! Click on Images for a FULL PREVIEW ! DATELINE: Ft. Lauderdale, Florida. - Pete Huthwaite, President of the Stars Football League. We are looking forward to an exciting third season. 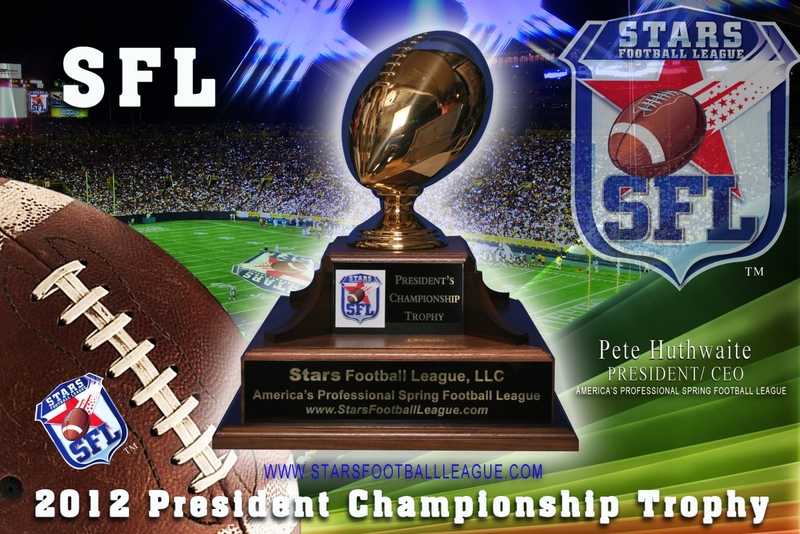 The mission of the Stars Football League, LLC is to bring exciting, professional football to deserving but underserved markets coast to coast. Additionally the SFL will establish solid, profitable franchises across the United States that will become very valuable in the future with a national TV contract. 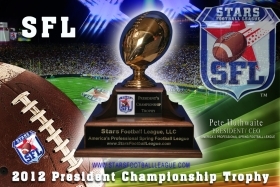 The SFL will develop it's own unique football stars that you may not be able to see in other leagues.